Jatayuvadham is a part of the drama "Aascharyachoodamani" written by Sakthi Bhadra Kavi. The story deviates considerably from the original Ramayanam text. For abducting Seetha from Panchavati, Ravanan and his Soothan (charioteer) disguised as Sreerama and Lakshmana. They made her believe that they were returning to Ayodhya. On the way Ravanan accidentally touched the Choodamani (a jewelled ornament Seetha was wearing on her head). By its magical powers Ravanan reverted to his actual form. The first scene in Koodiyattam performance starts when Seetha is horrified by the sight of Ravanan. She begs Soothan (disguised as Lakshmanan) to save her. Suddenly he also assumes his real form. Seetha becomes more frightened. Hearing Seetha's wailing, Jatayu (A bird who is a friend of Sreeraman) appears. He attempts to save Seetha. Jatayu fights fiercely with Ravanan, who cuts the bird's right wing. Seetha blesses Jatayu that he will not die before conveying the information to Sreerama. The drama ends with the exit of Ravanan and Soothan taking Seetha. 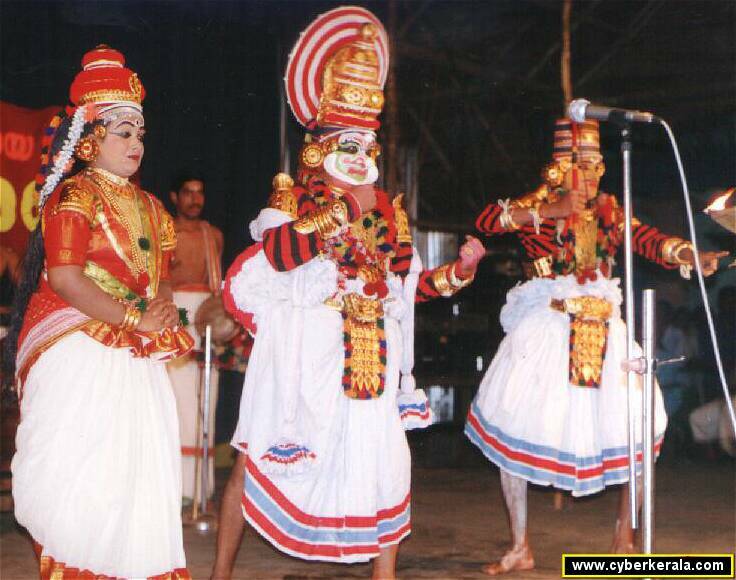 The performers are Ravana (Kalamandalam Sivan Namboodiri), Jatayu (Kalamandalam Rama Chakyar), Seetha (Kalamandalam Anjali) and Soothan (Prasad). On the Mizhav are Kalamandalam Achuthanandan and Kalamandalam Easwaranunni. Thalam (Rhythm) is by Shailaja and Krishnapriya.